He then became the youngest person, at age 16, to fly solo around Australia. The journey involved 90 hours of flying over 33 days, and raised a quarter of a million dollars for a village in East Timor. 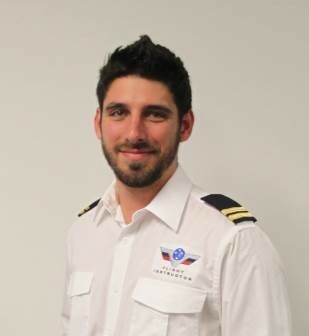 And now Mitch Boyle is turning his vocational talents and youthful enthusiasm to giving something back to Australian aviation and to the local Bega community where he lived, studied and worked for much of his education and early career. His big opportunity has come with the planned establishment of Sports Aviation Flight College Australia, which is proposed for Frogs Hollow, in an area already zoned for aviation use. Now a fully qualified instructor, Mitch will be able to pass on his wealth of aviation experience, and enthusiasm for the industry while fostering a business that will have a major positive impact for Bega and for Australia – while also providing a broader regional skills base to help retain local young people in the district. When fully completed, the business will bring in over 200 jobs, says Mitch, who now holds a Recreational Pilots certificate, Commercial Pilots License, Multi-Engine endorsement and Recreational and General Aviation Instructor Rating as well as a Diploma in Aviation. “The new jobs will be paying well above the area’s average income, and will provide steady, stable employment all year round. A large section of the employment opportunities in the Bega region are seasonal, so this provides a great opportunity for full-time work for locals,” he said. Additionally, all labour, construction materials and staff will be sourced locally, and the three types of plane used will be manufactured in New Zealand, Newcastle NSW and Cowra NSW. SAA plans to begin with 120 students graduating in the first year of operation, with a plan to steadily increase this to 1,200 within six years, reinvesting profits in the expansion of the college. “We aim to have strong community benefits and to reach out to local schools and groups to foster their enthusiasm and opportunities. We also want to encourage interaction between our young students housed at the school and the youth of the district particularly. We want to see graduates of this venture returning to Bega and to Australia time and time again to renew friendships and vocational and cultural ties. “The students won’t spend 100% of their time at the flight school – they’ll engage with the local area, spending money on food, activities and local businesses. We’ve even arranged a few ‘cultural days’ where they’ll get to experience Australian culture. We’ll take them to our fascinating attractions – places like Potoroo Palace, a not-for-profit native animal sanctuary in Merimbula,” said Mitch, a keen supporter of local cultural and environmental facilities. “Once the students return home, they may also recommend the area to their friends and family, providing a valuable boost to tourism in the region, which will further support local businesses,” he said.